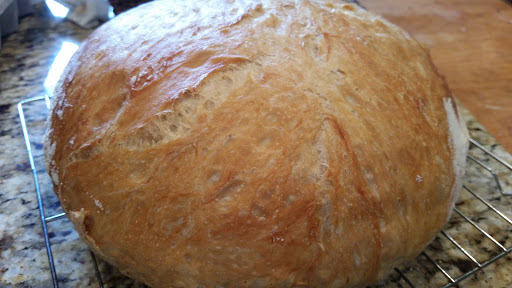 If you love fresh baked bread but have never tried making it, this is the recipe for you. It is so easy and so delicious! Add the dry ingredients to a large bowl and mix well. 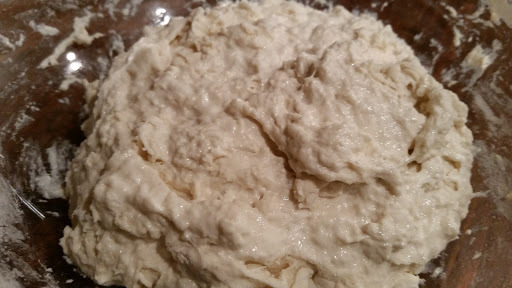 Add the water and stir until all the flour is incorporated. Cover with plastic wrap and let it rest on the counter for 10-12 hours. I make mine just before bedtime and let it sit overnight. This looks a little more moist that usual, but I think it will be fine. You just don’t want it too dry or the bread will be dry and you won’t have those big beautiful holes inside when it bakes. This is what greeted me this morning! It has doubled in size. 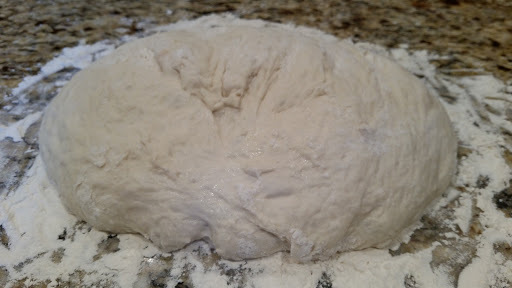 Turn the dough out onto a well floured surface and gently form into a ball. Cover with the plastic wrap and let it rest for about 30 minutes. While this is happening, preheat your oven to 450 degrees and place your baking dish in the oven to heat as well. 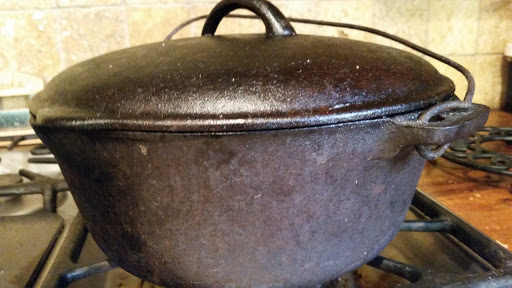 I use a cast iron dutch oven but have heard of others using any baking dish with a lid that will accommodate the rising dough as it bakes and can withstand the high temperatures. When your oven and baking dish are thoroughly heated (the pot needs to be very hot), carefully remove the lid and place the dough into the pot. Place the lid back on the pot and bake for 30 minutes. Next, remove the lid and bake for an additional 15 minutes. Wait patiently (and try not to drool) as the smell of freshly baked bread begins to fill your home. Oh my! Just look at this beauty! 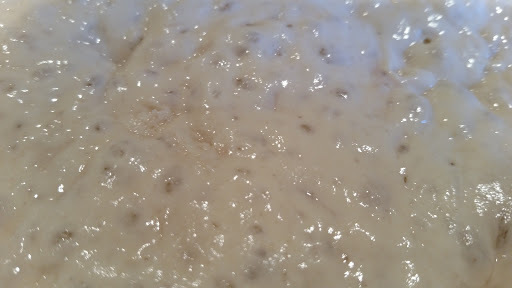 It is crusty on the outside, light and airy on the inside, and will be the perfect accompaniment to tonight’s soup. I just bought some cast iron skillets last night. Do you think I could use those? Which I live in Corning NY where they make those dishes so that should be easy to find!! Thanks for the tip!